Are you searching for a Chrysler dealership in Marietta, GA? 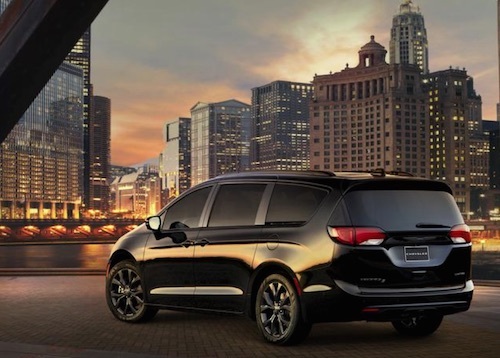 Ed Voyles Chrysler has a wide selection of new and certified used models in stock at our Chrysler dealership in Marietta, GA. Chrysler dealership inventory includes new Chrylser 300 sedans and Pacifica minivans for sale or lease. You can browse our entire inventory online to compare vehicle prices, specs, trim options, see photos and look for special offers. Our dealership sells cars, but if you have a trade-in we can also buy your used car or truck. There are plenty of financing and leasing options when you buy or lease a new Chrysler car or SUV at our Marietta dealership. Chrysler dealer incentive deals and special offers are frequently available at Ed Voyles Chrysler. Financing for used Chrysler models and other Used Cars, Used SUVs or Used Trucks can be arranged to fit your monthly budget. When it is time for service bring your vehicle to our Chrysler Service Center for expert maintenance, repair and genuine Chrysler Parts and accessories. Be sure to ask us about our auto service coupons and special offers for extra savings. We hope to see you soon at our Marietta Chrysler dealership. we are dedicated to excellent customer service and vehicle care.